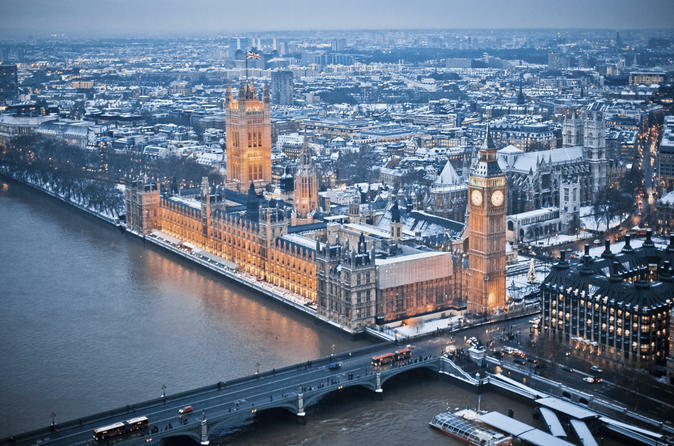 Wrap up warmly and celebrate Christmas Day in London with a 45-minute Thames River cruise. Get cozy inside the heated saloon or find yourself a spot on the open-air top deck. Then, sip on a festive tipple from the onboard bar and soak up the merry atmosphere as you float by top London landmarks. See the South Bank adorned with twinkling Christmas lights, snap photos of Big Ben and the Houses of Parliament, and enjoy unparalleled views of St Paul’s Cathedral, the Shard and more.